Recently, the CDC has reported an outbreak of 84 cases of E.coli across 19 states due to food safety issues with lettuce. They have advised consumers to not eat or buy “whole heads and hearts of romaine, chopped romaine, salads and salad mixes containing romaine lettuce.” This is because produce labels do not often identify the source of the product. Restaurants and retailers are also being affected due to the lack of visibility in confirming that their ingredients did indeed not come from Yuma, Arizona. Reports of the outbreak first came in March. It has been over a month since the first cases and nearly all restaurants and retailers across the US are affected due to a lack of visibility in their supply chains to know exactly which produce came from which region or even which farm. The impact and repercussions will impact all forms of business from the suppliers of the produce in other regions to retailers and restaurants across the US. After a month of investigation by regulatory bodies and retailers, a real source cannot be determined. 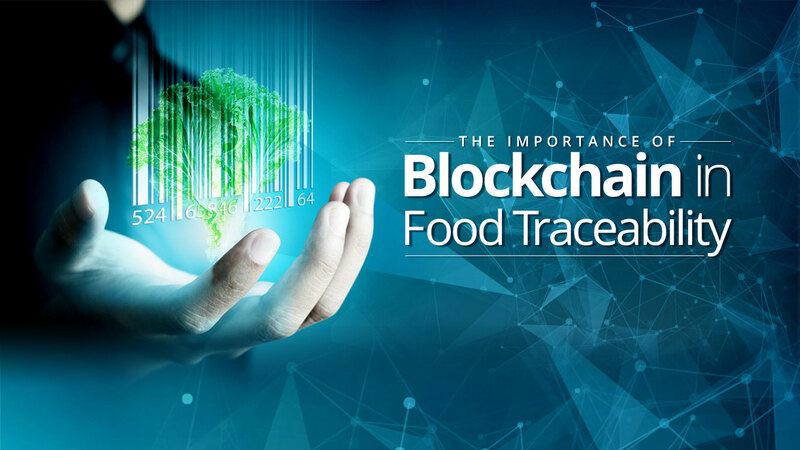 Blockchain technology has the power to help in food tracking and traceability in multi-party supply networks. From provenance to table, food safety and security is important, and there is a need for full end-to-end traceability, agile and efficient food recalls, enhanced supply chain performance and automatically coordinated transactions and processes with smart contracts. Using a blockchain enabled network platform for hubs and trading partners gives visibility into provenance, helps identify potential sources of contamination, and secures traceability and other salient information in the food supply chain. Potential risks are identified quickly with the use of serialization to track items from farm to table, and One Network’s chain-of custody modules on the Real Time Value Network are able to provide an irrefutable record of the passage and condition of food through the supply chain to the consumer. This increases the likelihood that proper handling procedures are followed, and if they are violated, they can be quickly pinpointed. When recalls occur, the ability to trace food sources empowers companies to quickly identify risks and sources of outbreak, resulting in the recall of only the affected items, while reducing costs and concerns associated with recalls. Increasing transparency by securely sharing data among trading partners across the network enables companies to better coordinate supply with the current demand of the market. Trading partners can automatically coordinate transactions and processes with smart contracts, based on specified conditions. When terms of the agreement are met this allows invoices, payments and receipts to be triggered. For example the business would eliminate administration costs, delays and errors by having the invoice automatically triggered when a restaurant or retailer signs for the receipt of a shipment. These benefits can be realized today with One Network’s blockchain enabled platform. The real-time value network provides a single version of the truth for all parties on the network. The food supply chain is highly distributed containing multiple parties, with many handlers and hand-offs. Its complexity makes the food supply chain ideal for blockchain.